Moving to a new location is not as complicated and stressful as you think it is. 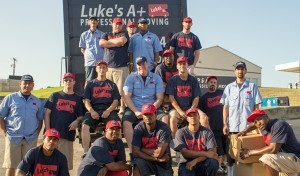 Luke’s A+ Moving Services has the right formula for a stress-free move. We combine experience and the most effective moving practices to provide exceptional services to our clients. We are your best choice when it comes to reliable movers in North Richland Hills, Texas. Your successful move depends on the people you trust to take you to your destination. Luke’s A+ Professional Moving knows all the things needed for a convenient move. You can never go wrong if you hire a professional moving company. We’ll move you within North Richland Hills or to any part of Texas.